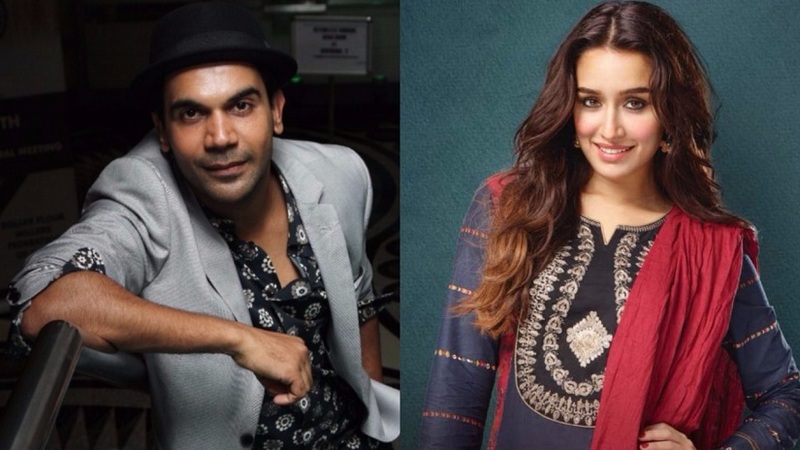 After producer-director Dinesh Vijan recently announced his next project starring Rajkummar Rao — a horror comedy to be directed by Krishna DK and Raj Nidimoru (Or Raj & DK as they are popularly known), it is now being reported that Shraddha Kapoor has also come on board and will be the female lead in the upcoming project. Rajkummar Rao-Shraddha Kapoor. Images from Twitter. Both Kapoor and Rao took to their Twitter handles to announce the news and shared their excitement about working with each other and the director duo. “Shraddha will play a small town girl with a mystery surrounding her character. It’s a unique role and in a zone that the actress has not attempted before. She has really liked the script and gave her approval last week. Shraddha will start her prep for Dinesh’s film after she wraps up Saaho. The film will go on the floors in January,” said an unverified source, according to a Mumbai Mirror report. The film is expected to go on floors in the first week of January as Kapoor reportedly had to rework her schedule to accommodate the dates to fit the movie in. Kapoor has recently wrapped up the Hyderabad shoot schedule for her upcoming movie Saaho opposite Baahubali star Prabhas. She is also simultaneously preparing for the biopic on ace badminton player Saina Nehwal, however the film has apparently been pushed by a few months. This upcoming horror-comedy will be another collaboration for Raj & DK and Vijan. The trio have previously worked together on the Saif Ali Khan starrer Go Goa Gone (2013).